Now that Spring is upon us (I know -who’d have thought it amongst all that snow!) its time to refresh your wardrobe a little and add a few new pieces for the new season ahead. 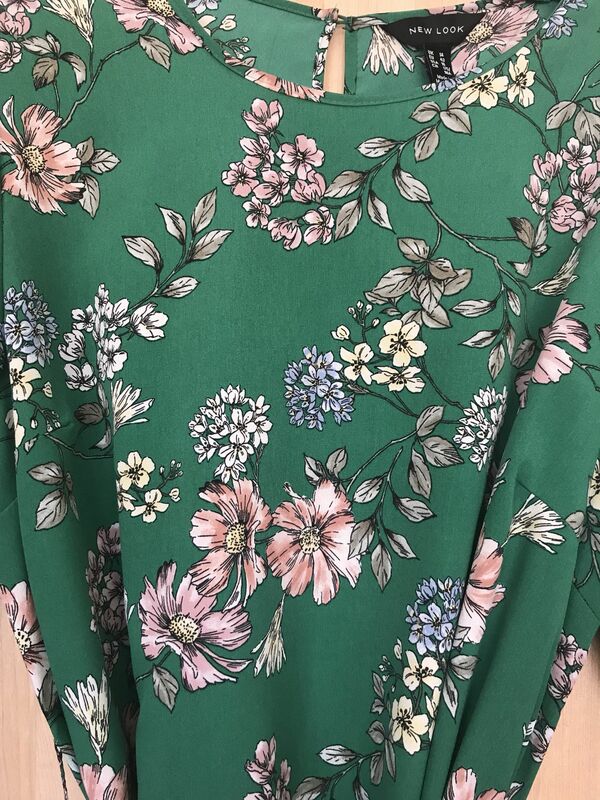 There are lots of lovely floral pieces starting to hit the shelves and this Newlook green floral dip hem dress is no exception! 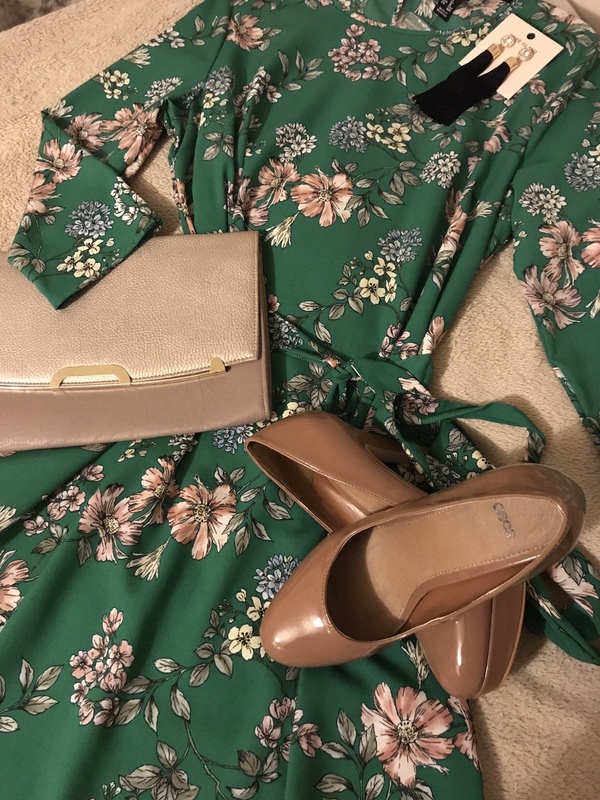 Walking past the window of Newlook last weekend I spotted this, and I must admit it is not my usual type of dress to pick but I was drawn to the summary shade of green and dip hem style of it, so I thought lets try it on and see, after all its good to embrace change every once and a while right?! 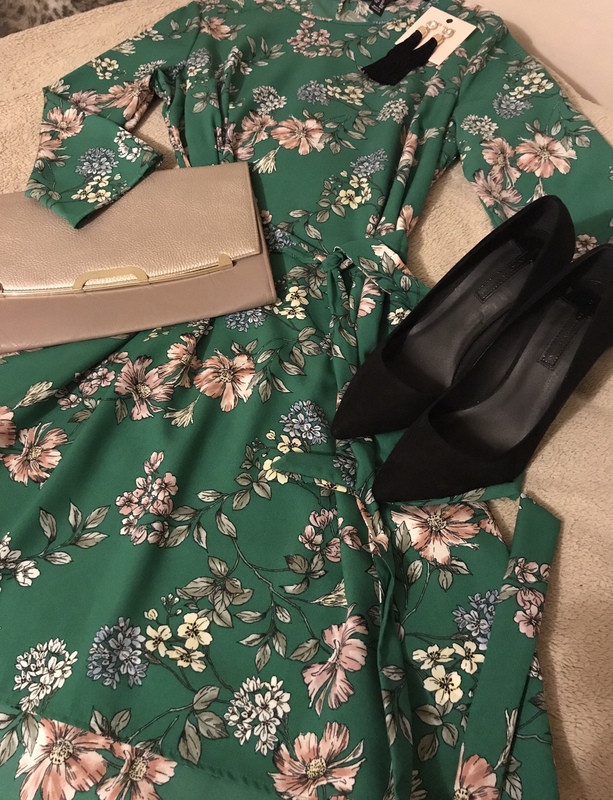 The dress features a nice summary floral print with a round neckline and a tie belt around the waistline which just gives it a little extra detail but at the same time keeping it simple and easy to wear and the shade of green is bang on trend! The best thing is it is only £15.99! #bargain! 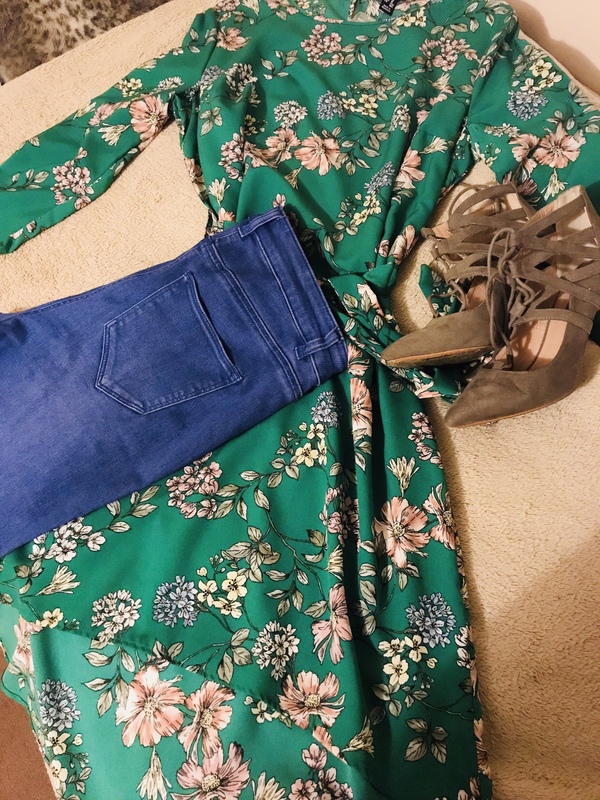 They had paired the dress with some light blue skinny jeans and a pair of neutral court shoes which looked great and gave it a bit of twist and a different way of layering the look. I’m not normally one for putting dresses with trousers (mainly because I’m so short! Lol) but with the dip hem on this it really works well and gives it a bit of an edge. 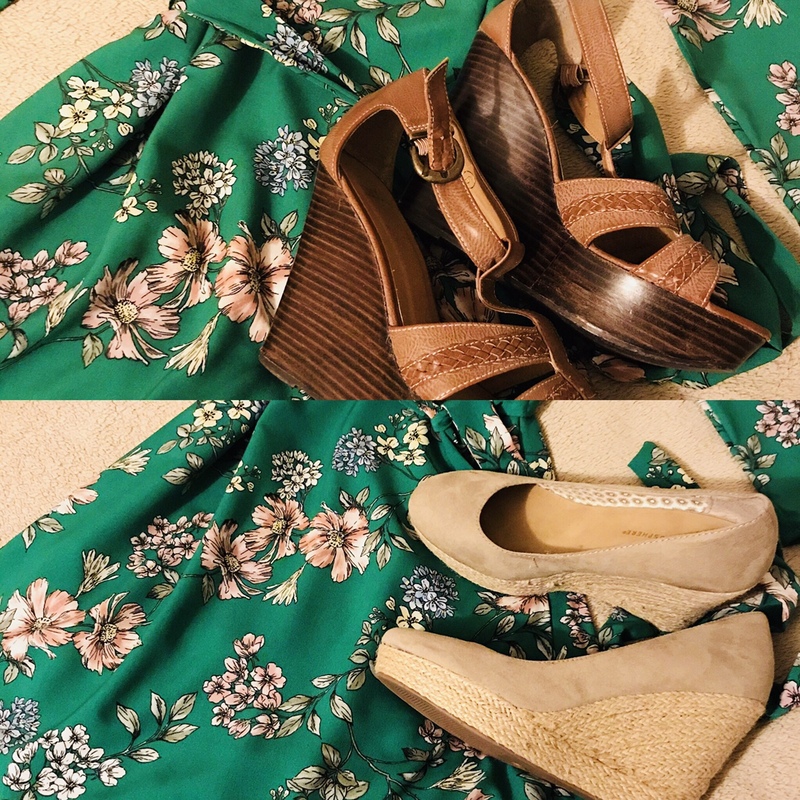 Wear it casually with a pair of tan wedges or some nice sandals for a nice casual day time look, its easy to wear and with the 3 quarter length sleeves you don’t need a cover up plus its light weight so will keep you cool and comfortable when the weathers warmer! It’s a great holiday piece as well! 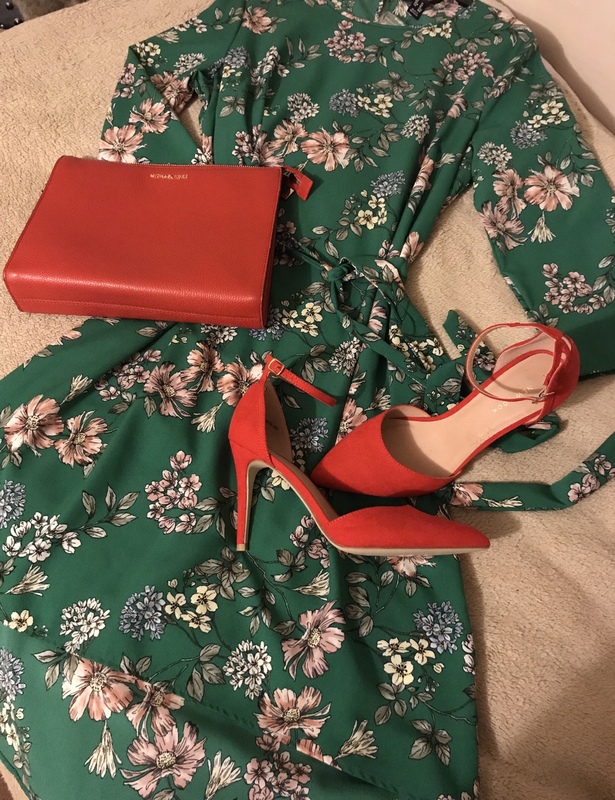 Dress it up with a nice pair of heels and a glam clutch bag for an evening look or an occasion look like the races, keep your accessories simple as the print in the dress has enough detail to carry itself and add a pop of colour on the lips and your good to go! 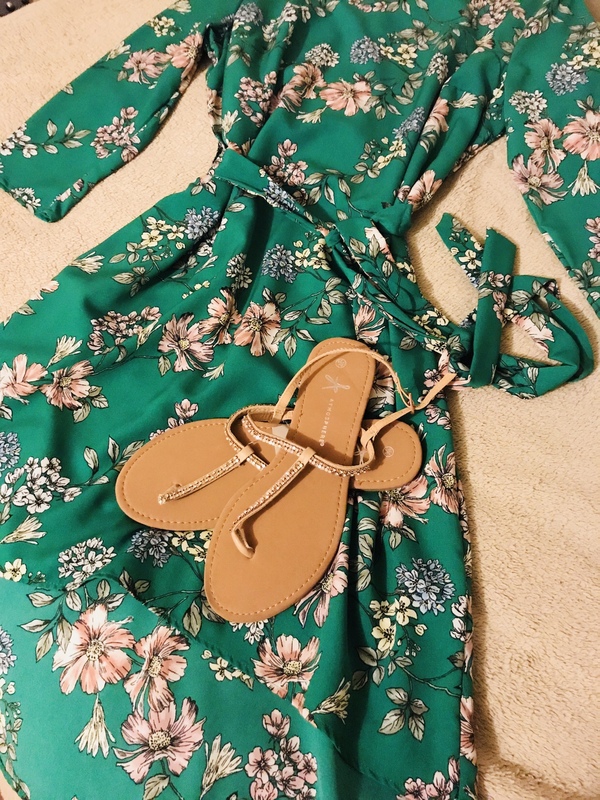 This dress is just gorgeous. I love how you styled it up.